This is the sort of upbeat, preppy music that I have to be in the right mood for these days, and right now as our stupid little rock whizzes round the plug hole in ever decreasing circles in a vortex of negativity probably is not the best time for this wizened old scrote to be listening to this! Eventually, like a sort of water torture in reverse, I just can’t resist the fun these guys are having, and a smile will work its way up from deep within the cavernous black of my doomed soul, oh lordy yes! Meet Todd Rundgren in a Spanish bordello channelling the cheesiest aspects of pop Genesis, while Cheap Trick hurl custard pies from the wings, and watch as these Spanish loons (aye, they’re still loons, five years after that bonkers debut Boiling Fouls) make a joyful pop-prog racket and dance around inside your cranium with all the decorum of a riot in the nursing home. Full of rambunctious affairs like the irrepressibly daft Ready To Rumble, this album will probably work better in the summer, when the sun is out and we’ll all be too drunk to care anymore. Close Your Eyes thankfully pulls up just short of becoming a power ballad, and there’s an instrumental with the most unthreatening riff you ever heard, called, quite inappropriately, Scum … and what’s this? Ah, very clever… Boiling Fowls, the first album, commenced with a 25-minute epic, so naturally this one closes with one. It’s called Big Boy – you can’t fault the lads’ sense of humour, eh? Some far too earnest prog albums meander or drear to such an extent that it’s tempting to go and mow the lawn while they stretch an already half-assed idea to beyond the point of reasonableness, as you know they’ll still be droning on when you get back. 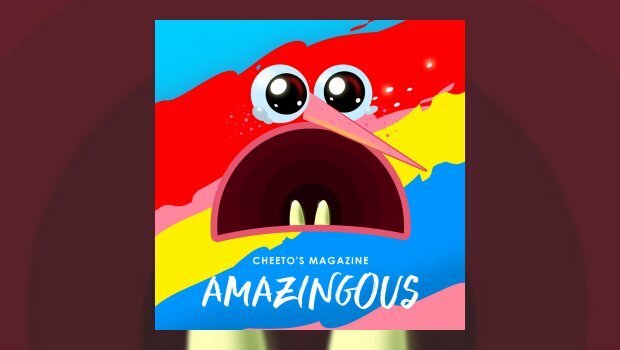 Not Cheeto’s Magazine, oh no. Listening to one of their huge amorphous beasties is akin to nailing down a box of frogs with a blancmange. One moment Big Boy is a synth-symphony, the next an FM rock folly blasting out across the across the barrio, then near the end it hints at cowboy movie soundtrack, all at a mostly breakneck pace. There is some classy arranging going on in here, you’ll never nod off, I promise. If playing rock music still paid the bills, by rights this lot should all have holiday homes in Acapulco, with more gold than you could shake a bong at. 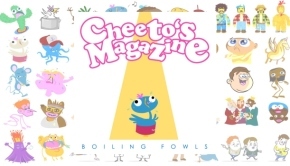 It was five years ago Cheeto’s Magazine enticed my world with Boiling Fowls, and reading that review again reminds me what a comparatively worry-free place the U.K. was back then, but having listened to this a few times it somehow manages to let me leave that bag o’shite behind for a while. Not long enough, mind, but every little helps as they say. I would go see this lot live in a flash, should they ever visit these dark lands, and so should you if you know what your soul needs right now.